The year is 1928. John Welles and his Aunt Prudence are having gingerbread with lemon sauce one evening when she brings up the very touchy subject of Miss Garland Griffin. Garland and John attend the University of Maryland. The two are in constant competition for the top spot in the grade standings. Their rivalry takes on a sharp edge. Prudence presses John into admitting he has a more personal interest in the young woman by reminding him of comments he’s made regarding Garland’s beauty. Her attempts to draw him out only serve to frustrate him until the two are snapping at each other. All is not lost despite Prudence’s often bungled attempts at parenting. She and John are close enough that they manage to work through their spats even if he’s the one who has to act more like the adult. John loves his sulky aunt, and in the end, he turns to her for advice. The following recipe is the one I had in mind when I wrote the scene above. Prudence and John don’t always see eye to eye, but like sweet gingerbread and tangy lemon sauce, their personalities complement each other. Preheat oven to 350 degrees F (175 degrees C). Grease and flour a 9-inch square pan. In a large bowl, cream together the sugar and butter. Beat in the egg, and mix in the molasses. In a bowl, sift together the flour, baking soda, salt, cinnamon, ginger, and cloves. Blend into the creamed mixture. Stir in the hot water. Pour into the prepared pan. Bake 1 hour in the preheated oven, until a knife inserted in the center comes out clean. Allow to cool in pan before serving. Combine sugar, cornstarch, salt, nutmeg, and water in a saucepan, stir until smooth. Cook and stir over medium-high heat until thickened and bubbly. Reduce heat, cook and stir 2 minutes longer. Remove from heat. Stir a small amount of hot filling into egg yolks, return all to pan, stirring constantly. Bring to a gentle boil. Cook and stir 2 minutes longer. Remove from heat. Gently stir in butter, lemon juice, lemon peel, and lemon extract. Serve warm with gingerbread. Refrigerate leftover sauce. I like the idea of including the recipe your characters might enjoy in this scene! Thanks. Had a slice. Incredible. 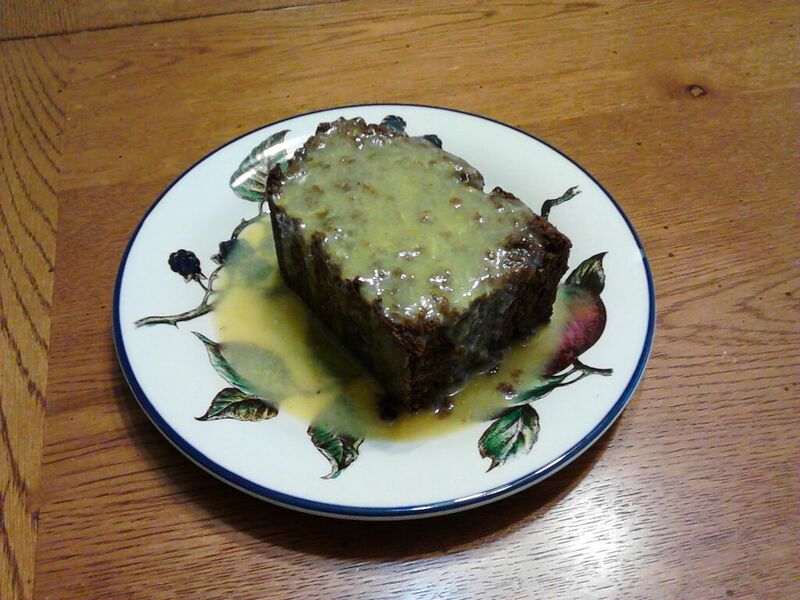 The gingerbread was spicy with a firm texture and that lemon sauce gave it just the right amount of “tang”. Great recipe!! !